Cancer treatment often involves a number of complex medications that must be taken at regular intervals. This cancer medication tracker will help you remember when to take your medicines and what they are for. 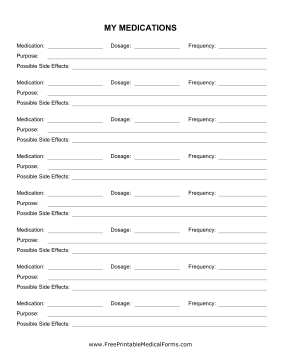 This page can be used with other cancer planning sheets to form a comprehensive treatment notebook.